The Québec Government Office in Atlanta and the Board of Trade of Metropolitan Montréal recently set up a hotel-related trade mission to Miami, more particularly in the area of hotel furnishings. The hotel construction and renovation market in South Florida is one of the first to have recovered following the 2007 recession. In the United States, Miami is the 4th ranked city, after New York City, Hawaii and San Francisco, in terms of revenue per room, a growth of 7.9% compared to 2011. Miami also boasts the highest percentage of luxury rooms (19.8%) in the country. During their stay, they also had the occasion to attend information seminars on the growth of the hotel industry in Florida and to participate in several networking activities that were specially organized to match Québec suppliers and North American hotel operators. The first results of the mission were not long in coming. Several Québec companies were invited to submit bids for hotel projects in southern Florida and the Bahamas. 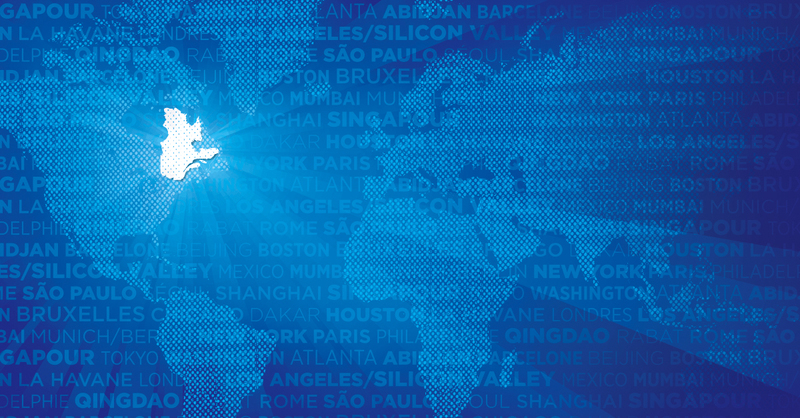 The Québec Government Office in Atlanta helps Québec companies to break into markets in Florida and in over 10 other states in the southern United States, notably by facilitating meetings with distributors, representatives and key partners.